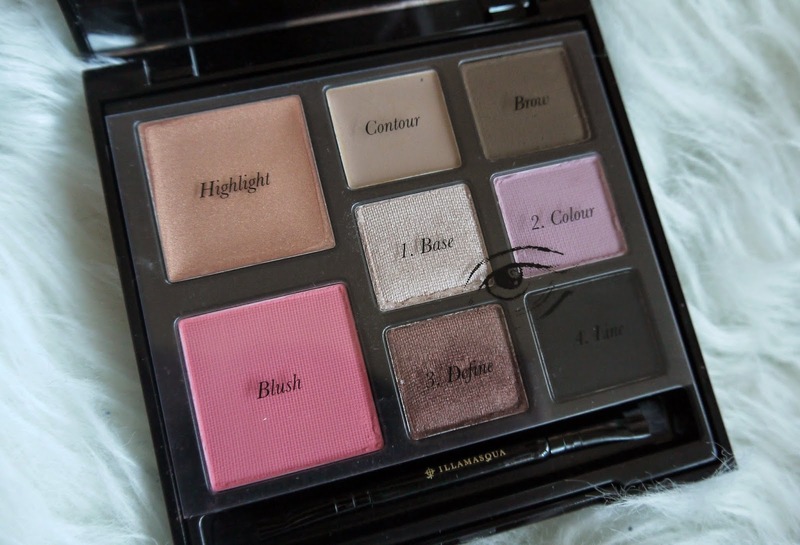 Hello lovelies, I finally have my hands on a gorgeous palette from Illamasqua, after many swatches at their counter in Selfridges and being too over whelmed to know what to buy I have a palette! A stunning one at that, I was browsing their sale the other day after they kindly sent me an email saying 70% off, how naughty of them! My spending ban is just not happening for me so far this year, anyway I couldn't resist picking up this amazing bargain from a whopping £45.00 to £13.50, free p&p too, if you hurry though they still have it on offer for just £22.50 an absolute steal. 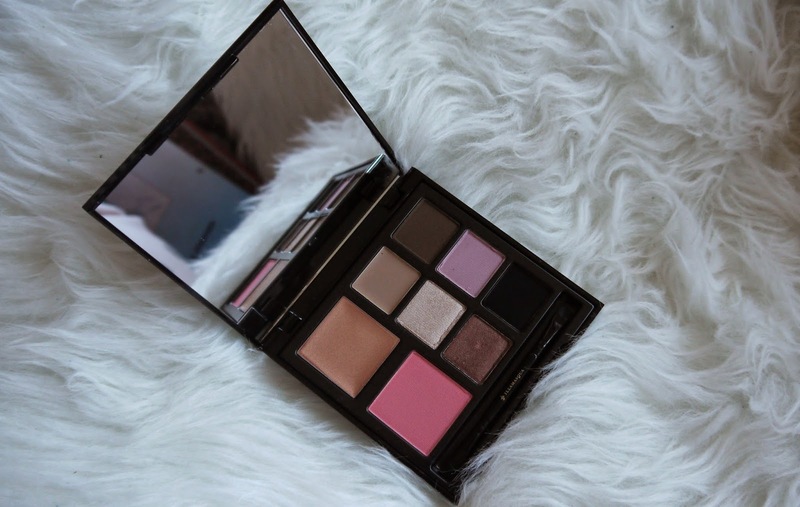 This palette is amazing for you travelers or for lazy people like me who just don't want to carry a make up bag full of things, this has all you need but a lipstick and if your anything like me you already have about 5 of those stashed in your handbag anyway. 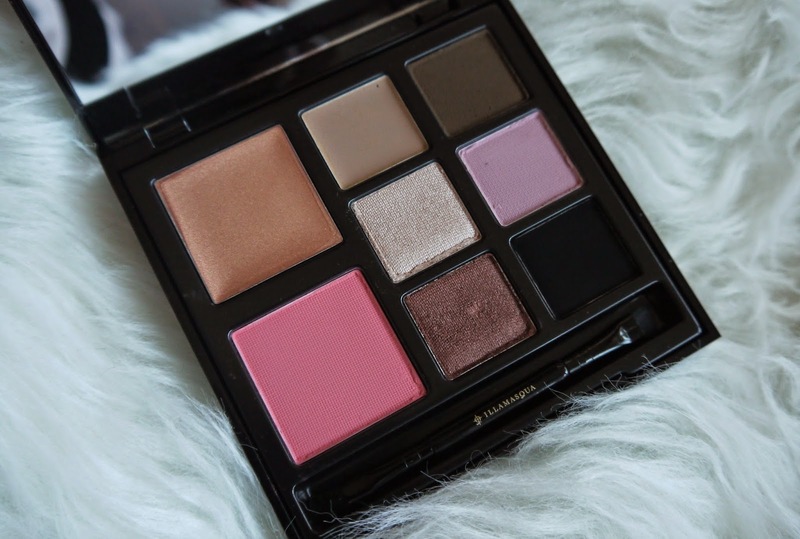 What also drew me to this palette was it had my favorite product from Illamasqua at the moment, that being the brow cake in thunder, this is simply the best eye brow product I have ever used, so now I have this mini for when I am going away for a weekend or something. 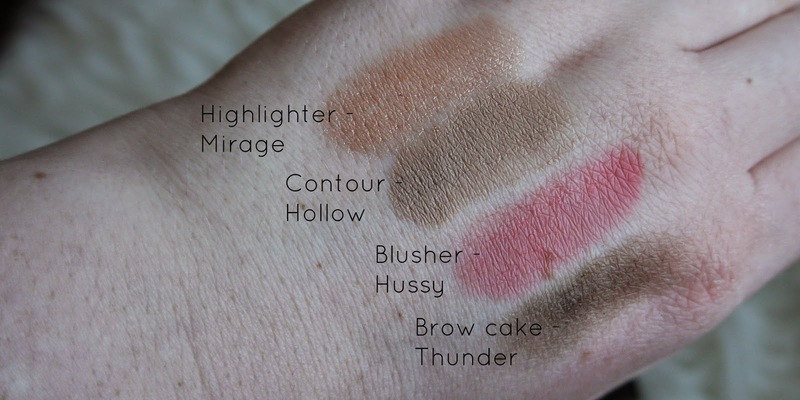 Along with the brow cake you have a gorgeous blusher, stunning highlighter, a contour and four beautiful eye shadows, one being used for liner. Highlighter in Mirage - This bronzey gold shade is a creamy formula, which I am not that keen on usually but this is very easy to apply, I found it best applying with my real techniques buffing brush just dabbing it on to the tops of my cheek bones lightly to create a gorgeous iridescent shine to my face, you could just use your fingers but I personally prefer blending with brushes. 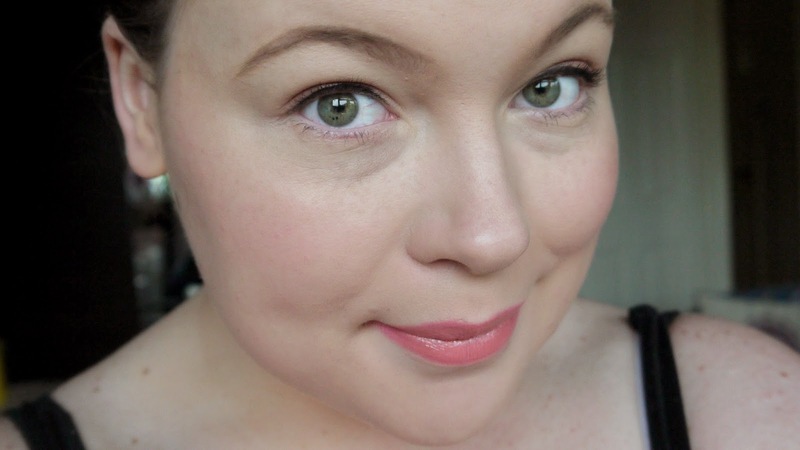 Blusher in Hussy - This blusher is super pigmented, luckily I checked my blusher brush before applying this to my cheek bones! I was like woah hot pink, I like a subtle flush of color to my cheeks so if you do to to I would recommend you not be too heavy handed with this beauty, it is a stunning blusher formula and shade I would say a hot candy pink, you can be as subtle as you like with it or build it up to a more intense coverage. Contour in Hollow - I don't know if it's my skin tone or the formula but I just couldn't work with this at all, I much prefer powder to contour my face and wasn't keen on the colour of this on my face at all which is a shame as I see it get rave reviews especially for pale skinned people like myself but each to their own hey, however I found this to look lovely on my lids and will be perfect for a base of a cream/brown smokey eye look so it won' get wasted. 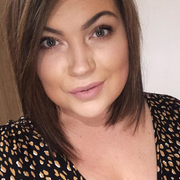 Brow cake in Thunder - As I mentioned above I have the full size version of this and I'm in ore of it, I remember an old friend of mine getting it when I was with her and the transformation of her brows were unreal, after going back there many months later I was so impressed with the lovely lady there who transformed my brows and had to have it! It is my favorite brow product to date, it stays put all day with no smudge or budge and the shade is perfect for me. Powdered eye shadow in Slink - Highly pigmented like all of the gorgeous eye shadows in the palette this is a champagne sort of shade with a shimmer finish, perfect for an all over base and looks gorgeous also added in the inner corners after your desired eye look to really make them pop. 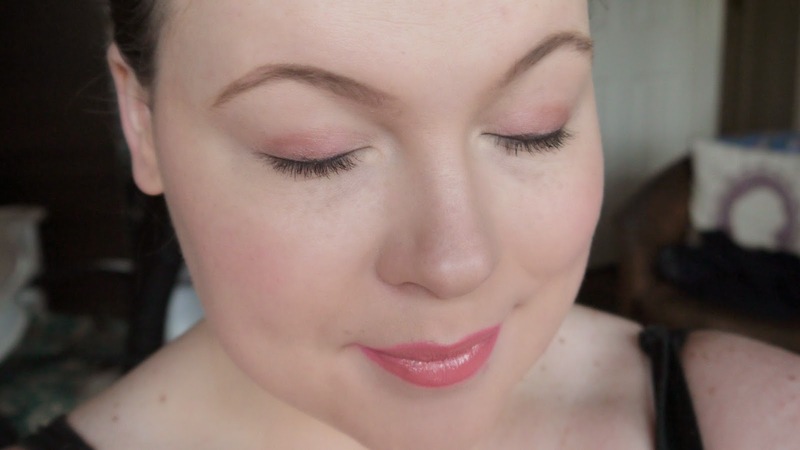 Powdered eye shadow in Dizzy - A dusty rose pink shade with a matte finish, pink is not usually a color I would normally go for on my eyes but I loved this all over the lid and I am still super impressed with how pigmented the shadows actually are, no swiping over the lids 4 times to get a more opaque look, one swipe and your ready to go. Powdered eye shadow in Tango - This has to be my favorite shade of the four, a bronzed copper shade with a shimmer finish, I put this on my inner corners and blended it in, I have done a little demonstration in the pictures below but I will do another one with a more intense smokey eye as I was just going for quite a light make up day that day, but it is such a gorgeous shade and really brought out the green in my eyes I thought. Powdered eye shadow in Obsidian - I can't believe how beautifully this went on as an eye liner, I literally stroked this on lightly with the brush it came provided with and it went on like a dream. So pigmented and didn't smudge all day, it is a very rich black shade and would also look gorgeous smudged out for a more intense smokey eye look but I could happily just wear that as an eye liner on a day to day basis. On a whole I am in love with the palette and it has definitely made me want to get more, or at least try out more of there products, the pigmentation in Illamasqua is like no other, swatch swatch swatch when your near an Illamasqua counter next time and you wont be disappointed I bet you. I actually think I would purchase this at £45.00 my friend was actually gutted when she saw my Instagram upload and said she paid the full price although she loves it and uses it daily, so money well spent. I won't even think twice next time Illamasqua have a sale on I can imagine my basket being very full, I want to try the nail polishes out at some point, if any of you have tried them please let me know your thoughts on them in the comments below. What are your thoughts on the Semblance palette, would you buy it?